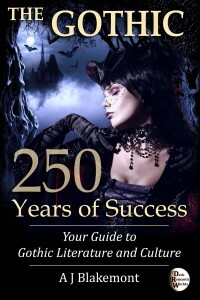 The Gothic: 250 Years of Success. Your Guide to Gothic Literature and Culture. The following work was found in the library of an ancient Catholic family in the north of England. It was printed at Naples, in the black letter, in the year 1529. How much sooner it was written does not appear. The principal incidents are such as were believed in the darkest ages of Christianity; but the language and conduct have nothing that savours of barbarism. The preface went on to speculate that this story had been written during the Crusades, between 1095 and 1243. A haunted castle, a mysterious prophecy, an evil and manipulative aristocrat, two young and beautiful heroines, a forbidden love and lots of action – such are the ingredients of this wildly imaginative melodrama. Despite an initially positive critical reception, this unlikely story could have remained a footnote in the history of literature, as did other literary curiosities. However, the following year, a second edition of this book was published, and, this time, its true nature was revealed by the author. The Castle of Otranto: A Gothic Story was a work of fiction written by Horace Walpole, a forty-eight-year-old English aristocrat known for his passion for the medieval period and Gothic architecture. In this stylish, rationalist 18th century, dominated by the baroque and the Classicism, Walpole was viewed as an eccentric. He went as far as to transform his villa at Strawberry Hill (just outside London) into an imitation of a Gothic castle. In the preface to the second edition of The Castle of Otranto, Walpole explained that his book was “an attempt to blend the two kinds of romance, the ancient and the modern”. In other words, he transposed his love for medieval art into literature and thus created the first neo-Gothic fictional work in history. In the 1760s, the world was not yet ready for the onslaught of the Gothic. However, two decades later, England was ready, as were other European countries that went through radical social changes. The Gothic novel exploded in the 1790s and the 1800s, when, in England, up to 20% of all published titles belonged to this type of literature. Paradoxically, the effects of this cultural phenomenon were as profound as the books that caused it were shallow. Few Gothic novels published in the 18th century had literary merit (those by Ann Radcliffe being among the rare exceptions). More than their intrinsic quality, it was their ability to excite the imagination of a broad readership that made them so influential. The 18th-century Gothic fiction was probably the first popular genre in the history of Western civilization; it was the prototype of what we call a genre nowadays. The success of this early wave of terrifying novels was short-lived, and, in the 1820s, readers grew tired of this kind of story. Nevertheless, 19th-century literature would not be the same without the spark of wild imagination brought by the Gothic novel. This genre created a portal between the mysterious past and the rational present through which the power of medieval fancy could relive to inseminate the modern culture. It inspired Jane Austen to write her first novel, Northanger Abbey, a satirical, yet respectful parody of the Radcliffean Gothic. It influenced Walter Scott, the father of historical fiction. It paved the road for the budding Romantic Movement, in particular its darker forms, and we can see its imprint in Byron’s poems or in Mary Shelley’s Frankenstein. Some literary critics viewed the Gothic as biologists view extinct species, like a relic of the past, something that had a role in evolution, but was now history. As a genre the Gothic is no more; nevertheless, as an artistic style it is as strong nowadays as it was two centuries ago. It was its ability to evolve beyond the boundaries of a genre that made it so influential and widespread. By the first decade of the 19th century, the Gothic had invaded literature and, to a lesser extent, theatrical drama and visual arts. By the first decade of the 21st century, the Gothic was everywhere: cinema, TV, comic books, music, internet, role-playing games, video games, digital art, and fashion. Not only was it adopted by every form of art and media, but it also penetrated most genres; we can find its influence in fantasy, science fiction, thrillers, romance, historical fiction, and literary fiction.